Today, I will explain in detail Different Types, Locations and Sizes of Disconnecting Means used for HVAC Systems. How to size these disconnecting means to be capable of disconnecting air-conditioning and refrigerating equipment, including motor-compressors and controllers from the circuit conductors. And before proceeding with the above points, let’s take a general overview for NEC Rules controlling motor loads of Air-Conditioning Systems. Combination loads (motor(s) with other loads). Article 210 covers all branch circuits except for branch circuits that supply only Non-Hermetic Refrigerant Motor-Compressor Loads, which are covered in Article 430. Article 430 shall apply where a branch circuit supplies air-conditioning and refrigerating equipment that does not incorporate a hermetic refrigerant motor-compressor. 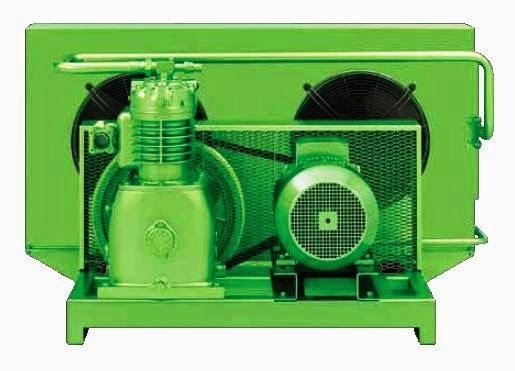 The rules of Articles 422, 424, or 430, as applicable, shall apply to air-conditioning and refrigerating equipment that does not incorporate a hermetic refrigerant motor-compressor. This equipment includes devices that employ refrigeration compressors driven by conventional motors, furnaces with air-conditioning evaporator coils installed, fan-coil units, remote forced air-cooled condensers, remote commercial refrigerators, and so forth. Article 440 shall apply Where a circuit supplies only air-conditioning equipment, refrigerating equipment, or both, that incorporate a hermetic refrigerant motor-compressor(s). Article 440 does not apply unless a hermetic refrigerant motor-compressor is supplied. Article 440 is in addition to or amendatory of the provisions of Article 430 and other applicable articles. Many requirements — for example, for disconnecting means, controllers, single or group installations and sizing of conductors— are the same as or similar to those applied in Article 430. So, Article 440 must be applied in conjunction with Article 430. Equipment such as room air conditioners, household refrigerators and freezers, drinking water coolers, and beverage dispensers shall be considered appliances, and the provisions of Article 422 shall also apply. Clause 220.18A shall apply for circuits supplying loads consisting of motor-operated utilization equipment that is fastened in place and has a motor (Hermetic or non- Hermetic) larger than 1⁄8 hp in combination with other loads. Note that as per Article 422, Equipment such as room air conditioners, household refrigerators and freezers, drinking water coolers, and beverage dispensers shall be considered appliances and can be fastened in place, in this case Clause 220.18A shall be applied. NEC 220.18A : For circuits supplying loads consisting of motor-operated utilization equipment that is fastened in place and has a motor larger than 1⁄8 hp in combination with other loads, the total calculated load shall be based on 125 percent of the largest motor load plus the sum of the other loads. Article 430 apply to branch circuits with combination loads (Non-Hermetic Refrigerant Motor-Compressor(s) type with other loads). Article 440 is applied when two or more hermetic refrigerant motor-compressors or one or more hermetic refrigerant motor-compressor with other motors or loads. A device, or group of devices, or other means by which the conductors of a circuit can be disconnected from their source of supply. 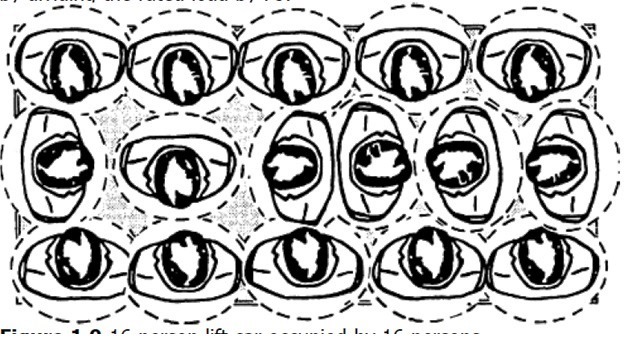 Where one equipment is specified to be “in sight from,” “within sight from,” or “within sight of,” and so forth, another equipment, the specified equipment is to be visible and not more than 15 m (50 ft) distant from the other. When a branch-circuit selection current is marked on a nameplate, it must be used instead of the rated-load current to determine the size/Ratings of the disconnecting means, the controller, the motor branch circuit conductors, and the overcurrent protective devices for the branch-circuit conductors and the motor. The value of branch-circuit selection current is always greater than the marked rated-load current. The rated-load current for a hermetic refrigerant motor-compressor is the current resulting when the motor-compressor is operated at the rated load, rated voltage, and rated frequency of the equipment it serves. The rated-load current in amperes of the motor-compressor shall be marked by the equipment manufacturer on either or both the motor-compressor nameplate and the nameplate of the equipment in which the motor-compressor is used. Ii must be a horsepower-rated switch capable of interrupting the maximum overload current of a motor. 2- A listed Molded Case Circuit Breaker. It is a circuit-breaker like device without the overcurrent element and automatic trip mechanism. It is rated in amperes and is suitable for use as a motor circuit disconnect based on its ampere rating, as is a circuit breaker. 4- Instantaneous Trip Circuit Breaker that is part of a listed combination motor controller. Listed manual motor controllers additionally marked “Suitable as Motor Disconnect” shall be permitted as a disconnecting means where installed between the final motor branch-circuit short-circuit protective device and the motor. For stationary motors rated at 2 hp or less and 300 volts or less, A listed manual motor controller having a horsepower rating not less than the rating of the motor and marked “Suitable as Motor Disconnect” can be permitted as the disconnecting means for these motors. System isolation equipment is “a redundantly monitored, remotely operated contactor-isolating system, packaged to provide the disconnection/ isolation function.” SIE can be used as a means to disconnect and isolate separately operable parts of a large industrial machine. SIE is used where repeated operation of disconnecting means for maintenance or servicing is inherent to the process and the risk of injury to personnel is increased due to moving parts and multiple points of entry. A listed Molded Case Switch (non-automatic circuit interrupter). It shall be permitted to serve as the disconnecting means for Stationary Motors of 1⁄8 Horsepower or Less. For stationary motor rated at 2 hp or less and 300 volts or less with the condition that the switch having an ampere rating not less than twice the full-load current rating of this stationary motor. 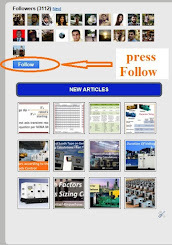 The motor drives a generator that is provided with overload protection. The controller is capable of interrupting the locked rotor current of the motors, is provided with a no voltage release, and is provided with running overload protection not exceeding 125 percent of the motor full load current rating. Separate fuses or an inverse time circuit breaker rated or set at not more than 150 percent of the motor full-load current is provided in the motor branch circuit. It can be used as a disconnecting means for stationary motors rated at 2 hp or less and 300 volts or less and with the condition that the motor full-load current rating is not more than 80 percent of the ampere rating of the switch. 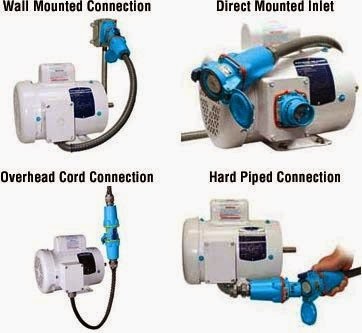 For a cord-and plug- connected motor, a horsepower-rated attachment plug and receptacle, flanged surface inlet and cord connector, or attachment plug and cord connector having ratings no less than the motor ratings shall be permitted to serve as the disconnecting means. Horsepower-rated attachment plugs, flanged surface inlets, receptacles, or cord connectors shall not be required for cord-and-plug-connected appliances in accordance with 422.33, room air conditioners in accordance with 440.63, or portable motors rated 1⁄3 hp or less. For cord-and-plug-connected appliances, an accessible separable connector or an accessible plug and receptacle shall be permitted to serve as the disconnecting means. Where the separable connector or plug and receptacle are not accessible, cord-and-plug-connected appliances shall be provided with disconnecting means as the branch-circuit overcurrent Device or switch according to the motor rating. 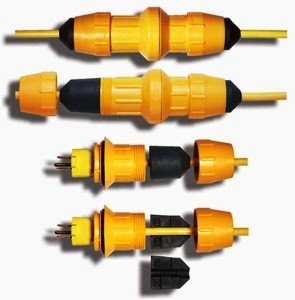 The rating of a receptacle or of a separable connector shall not be less than the rating of any appliance connected thereto. Demand factors authorized elsewhere in this Code shall be permitted to be applied to the rating of a receptacle or of a separable connector. An approved manually operable disconnecting means is installed in a readily accessible location within sight from the room air conditioner. For permanently connected appliances rated over 300 volt-amperes, the branch-circuit switch or circuit breaker shall be permitted to serve as the disconnecting means where the switch or circuit breaker is within sight from the appliance or is capable of being locked in the open position. 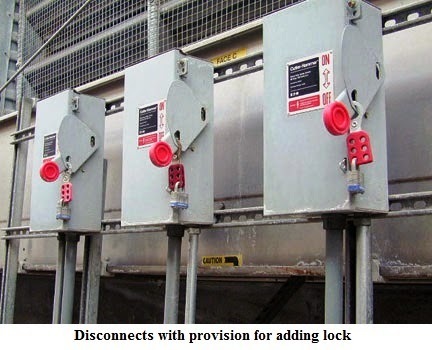 The provision for locking or adding a lock to the disconnecting means shall be installed on or at the switch or circuit breaker used as the disconnecting means and shall remain in place with or without the lock installed. For permanently connected motor-operated appliances with motors rated over 1⁄8 horse power, the branch-circuit switch or circuit breaker shall be permitted to serve as the disconnecting means where the switch or circuit breaker is within sight from the appliance. The disconnecting means shall comply with 430.109 and 430.110. If an appliance of more than 1⁄8 hp is provided with a unit switch in below paragraph, the switch or circuit breaker serving as the other disconnecting means shall be permitted to be out of sight from the appliance. In multifamily dwellings, the other disconnecting means shall be within the dwelling unit, or on the same floor as the dwelling unit in which the appliance is installed, and shall be permitted to control lamps and other appliances. In two-family dwellings, the other disconnecting means shall be permitted either inside or outside of the dwelling unit in which the appliance is installed. In this case, an individual switch or circuit breaker for the dwelling unit shall be permitted and shall also be permitted to control lamps and other appliances. In one-family dwellings, the service disconnecting means shall be permitted to be the other disconnecting means. In other occupancies, the branch circuit switch or circuit breaker, where readily accessible for servicing of the appliance, shall be permitted as the other disconnecting means. As per NEC 210.4 (B) Each multi-wire branch circuit shall be provided with a disconnecting means that will simultaneously disconnect all ungrounded conductors at the point where the branch circuit originates. In Fig.16, in which line-to-line loads are supplied from single-phase, identified handle ties or multi-pole common trip circuit breakers are permitted. Three-pole switch provides the required simultaneous opening of the ungrounded conductors. In Fig.17A, where multi-pole common trip circuit breakers are required, handle ties are not permitted because the circuits are supplied from ungrounded systems. In Fig.17B, where the supply systems are grounded, single-pole circuit breakers are permitted and handle ties or common trip operation is not required because the circuits supply line-to-neutral loads. In Fig.17C, in which line-to-line loads are supplied from 4-wire, 3-phase systems, identified handle ties or multi-pole common trip circuit breakers are permitted. 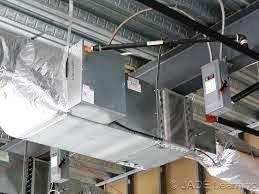 In the next Article, I will explain in detail identification, Locations and Sizes of Disconnecting Means used for HVAC Systems. So, please keep following.